Igbinedion University Okada through its committee on linkages and collaboration is set to ensure certification and induction of all its students by relevant professional bodies before their graduation, to the end that they will be better enhanced for employment and ready for enterprise and entrepreneurship. One of such is the Institute of Chartered Accountants of Nigeria (ICAN) which has granted exemptions of up to eleven subjects in its professional examinations to undergraduates and graduates of Accounting of Igbinedion University Okada who may wish to participate in its professional examinations with a view to becoming Chartered Accountants. The Institute gave this verdict at the end of a two-day resource verification visit to the University. While presenting the report of the accreditation team to the University Management after a two day intensive resource verification exercise, the Team leader, Chief Oye Akinsulire, Member Governing Council and National Treasurer of ICAN announced that Accounting students of Igbinedion University now have the opportunity to become certified while still an undergraduate in the University and inducted into the ICAN family as student member. 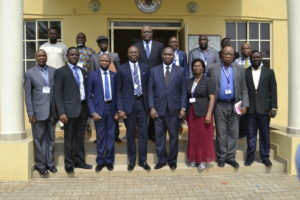 He also seized the opportunity to encourage the University to commence the Accounting Technician Scheme (ATS) without further delay, noting that at Twenty years and with the abounding Human Resources in the College of Business and Management Studies of the University, the ATS program was overdue in Igbinedion University Okada. Also, the Chartered Institute of Bankers of Nigeria (CIBN) represented by Aare Wale Adeyemi, Member of Council of the Institute and Mr. Folu Adeyemi, the Zonal Coordinator, South West has assured the University of its Willingness to establish linkage with the University. Aare Adeyemi in his presentation during a familiarization visit to the University management, noted that the Institute would be pleased to among other benefits offer generous exemptions in its professional examinations to undergraduates and graduates of Igbinedion University upon completion of mandatory accreditation process. Similarly, The Management of the Institute of Chartered Secretaries and Administrators (ICSA) represented by Miss Oladunni Ogunsulire, Deputy Registrar and Mr. Akumefula Ojiji, Manager Operations, also visited Igbinedion University on invitation of the University through its committee on Linkages and Collaboration. 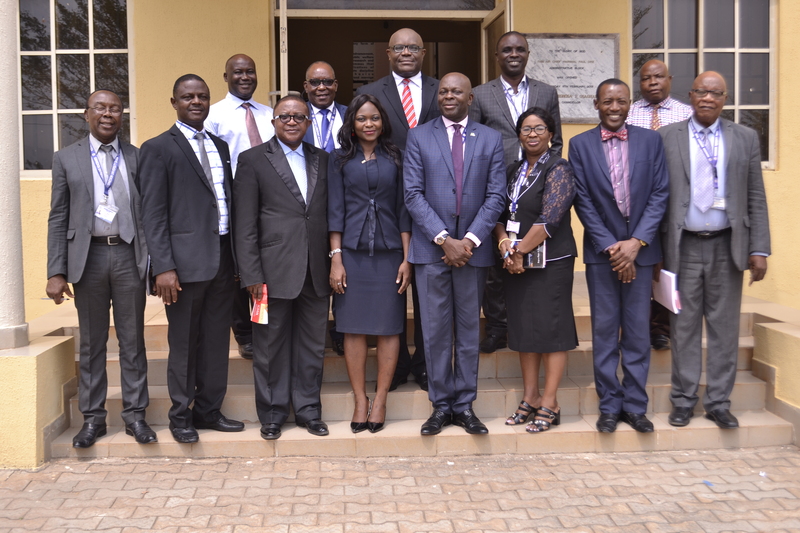 The Deputy Registrar of the institute said the institute’s goal was to prepare graduates and undergraduates alike, irrespective of their discipline for the real world of administration and to improve training in administration for practitioners. She affirmed the institute’s readiness to establish linkage with Igbinedion University and to admit both staff and students of the university into its fold. She also assured that the Institute was willing and ready to grant exemption to interested persons from Igbinedion University in its professional examination. 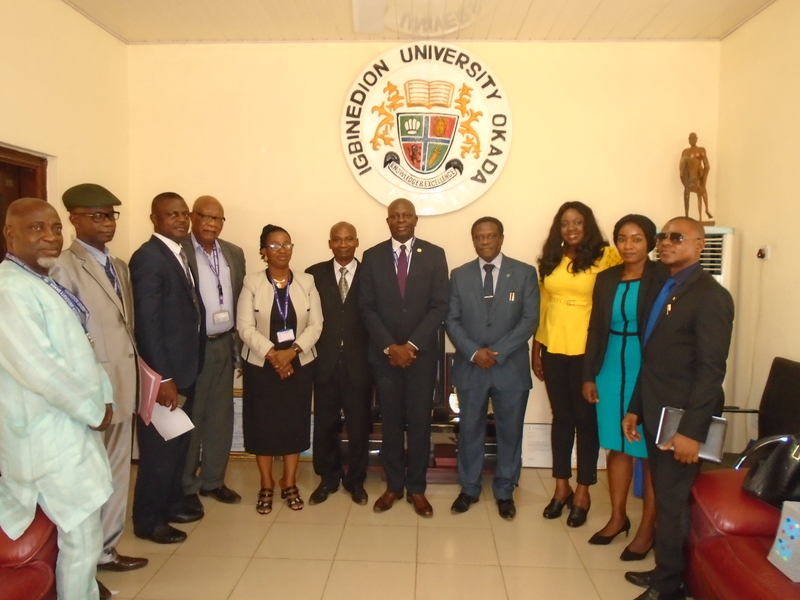 Responding, the Vice Chancellor, Professor Lawrence Ikechukwu Ezemonye stated Igbinedion University’s readiness to comply with all the requirements of the professional bodies to consolidate its linkage and collaboration initiative. He reiterated the university’s commitment to professionalism and linkages with professional bodies governing each academic program as a way of giving the students head-start in their career development and employability.